It’s that time of the year when Halloween is over and the thoughts of not just Christmas but also the thought of our weight is on our minds so I am going to write about the benefits of an online weight loss program and why you should make Why Weight Ireland your choice to lose weight and get fit. If you’ve had a long Summer struggling with your weight, if you’ve had too much over Halloween, if you want to get fit and drop a few pounds for Christmas then now is the time. Aim to end 2016 just like you are going to start 2017, positive, strong and in control. I originally set up Why Weight Ireland as a 100% online weight loss business because as a wife and a mother I wanted to have more of a work / life balance. I wanted to be able to offer my members the best possible experience while also being able to be around my family. When I was losing all my weight I didn’t have time to go to meetings plus I lived in the middle of nowhere so the nearest meeting would be a minimum 30 minute drive so after driving almost 2 hours to get home from work the last thing I wanted to do was to go to a meeting! Offering an online weight loss programme gives men & women the opportunity to lose weight and get fit in their own time without the need to go to a meeting. Being an online business it also gives the member and me that instant connection via email. Losing weight isn’t something that you do a few hours a day or during your lunch or in the evenings. Losing weight is a full time commitment and being online gives me that opportunity to help others all of the time, every day of the week – when ever a member has a question or query, I always try to respond as soon as possible, no matter what time or day it is. When someone emails me they could be feeling down because they can’t stop eating or are feeling down because something had happened and if they don’t get to talk to someone they may turn to their nemesis, FOOD! For this reason I also try and make different avenues available for members to access. This is why I started and opened my first studio in Tinahely, Wicklow. I can speak to people face to face, offer various fitness classes, private member weigh-ins, consultations and lots more. 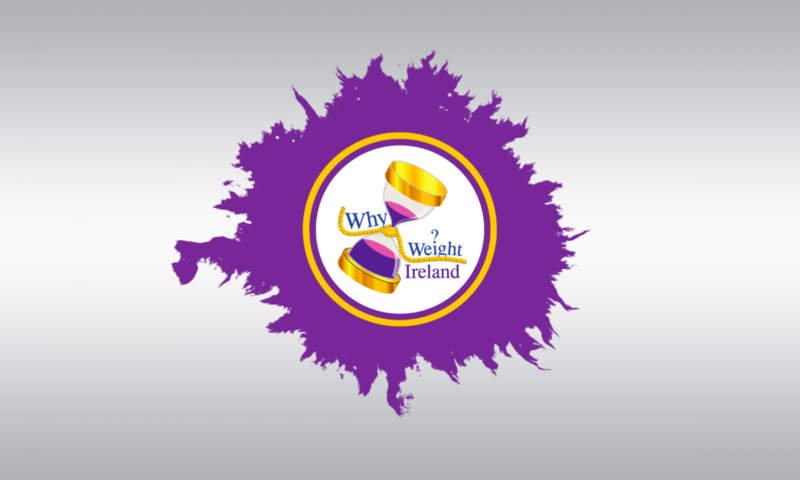 There is also a Private Why Weight Ireland Facebook Community Group where people can chat, post questions, give encouragement, motivate or take part in challenges that keep them on their toes and keep them involved. Another benefit of choosing Why Weight Ireland as your weight loss programme is that you also get access to an optimised mobile site that you can access from any smartphone, which makes accessing your food diary even easier when you are out and about. Tracking your food couldn’t be easier. If you stick to the Why Weight Ireland plan YOU WILL HAVE THE BEST CHANCE TO LOSE WEIGHT & GET FIT. If you are already at your recommended BMI/weight but need help with understanding more about the food you are eating then the food diary will work for you too. Also those who are at a healthy weight but are wanting to work on their fitness without spending a fortune on gyms and instructors then using the online weight loss programme from Why Weight Ireland is just what you need as every member gets a personal and tailored fitness plan as well as the food and exercise diary. Why Weight Ireland is an award winning weight loss & fitness business and is being highly recommended by those in the Sports and Health Industry and of course its members for its ease of use, encouragement and promotion of healthy living while also promoting exercise as part of your daily lifestyle. No fad diet here! As I’ve always said, Why Weight Ireland is not just a diet, it’s a new way of life and now my members are saying the same, so if you are looking for YOUR new way of life then make sure you sign up to Why Weight Ireland for your online weight loss programme.